A great gift for your favorite graduate! 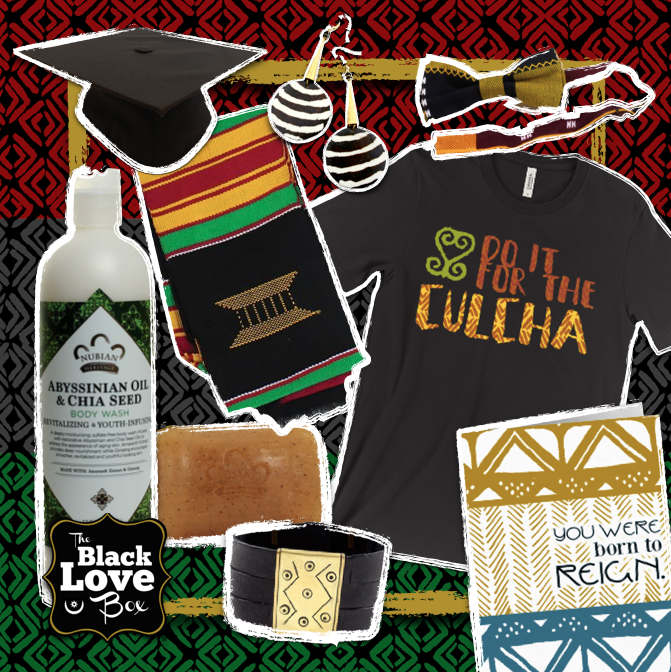 Includes optional Kente Sash (Made in Ghana), Graduate Greeting Card, T-shirt/or Headwrap, handmade accessories, plus featured monthly products! *Products in this box will be similar but not exactly like those photographed.